If your children need extra care after school, ABC Nanny Source can help you find the perfect Tutor in DC. As a Tutor in DC, Stephanie makes learning fun! "I am outgoing and full of life and love helping others in any way that I can! I enjoy spending time outside and doing activities such as swimming, biking, and hiking. I love working with children and love being a nanny since you have that one on one interaction with the children all day and I think that is so wonderful. If I was asked to describe in one sentence the reason I have chosen to be in the Nanny profession over any other it would have to be because I think children are precious gifts and should be showered with love and care. I love watching them grow each day and learn new things! I think being a nanny is the best job since you are able to have that one on one interaction with the children. I have been serving in some form of childcare experience for over nine years and can honestly say I absolutely love what I do! I feel the children are very special and I enjoy watching them learn and grow. I want to have a positive impact on each child’s life that I interact with. I think it’s good to have fun with them, but also to be firm when necessary. My goal as a Nanny is to work with the parents in accomplishing the goals they have for their children. Also, to make the parents life as stress free as possible by helping out with whatever they may need around the house. I am willing to do housekeeping including laundry, dishes, vacuuming, and general tidying up after a day of play with the children. If I had to describe myself in five adjectives I would say that I am compassionate, friendly, trustworthy, organized, and reliable. Activities that I would like to incorporate in the daily plan for the family I care for would include educational activities with children, but also making them fun and creative, arts and craft activities, and also playing outside. If asked to describe the perfect family seeking a Nanny like me I would hope they would be fun and energetic, and that we would make a great team so that we could reach the goals for each individual child." "My experience with Stephanie was excellent! She is a great Tutor in DC. She is a really kind woman and she really loves children. She always helped my children with their homework; they actually started earning better grades! My children were never starving when I came home. When my oldest daughter missed her school bus she would drive her to school, the children would never be bored She would always had them to something to do with them from playing sports, to a movie or studying for tests." "Stephanie would do whatever you asked her to do and happily. She is a very happy, bubbly person and children respond well to her. She is very sweet and I have never heard a harsh word from her. Stephanie is very calm with children while still having a lot of fun with them. My children love to be around her. I highly recommend her to any family in search of childcare!" "We have known Stephanie for the past 9 years. We watched her grow up and love to spend time with her. She was willing to do any job we asked her to do. She is a great asset; she is loving, kind and fun. She always wants to do her best! Stephanie has grown into a kind, wise and loving woman. She is a lot of fun and willing to help. Stephanie worked with me at church as a helper and would do anything that was asked of her as a job for the children. She has a special way with just about anyone she meets and the children especially love her. She is willing to listen and take instruction, which is important. You would be lucky to have her as a Tutor in DC for your children!" "Stephanie has gone above and beyond with my girls. She has always been extremely attentive to their needs and kind in her responses to them. She is thoughtful, sweet and good-natured. My daughters adore her and my oldest continuously asks when she gets to see her next. Stephanie is truly fantastic. She is fun, trustworthy and dependable. She absolutely exceeded my expectations. Stephanie has a heart of gold. She is very caring and responsible. I have seen her deal with tough situations gracefully. Before I had children, I was a youth group volunteer and Stephanie was in my youth group. We went on several trips together. Stephanie gave her whole heart to the children, even when she was just an older one herself. I knew as she got older that I would want to have her in the lives of my own children. She has been an incredible help to our little family and will make a wonderful addition to any family!" 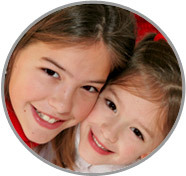 "Stephanie was very proficient in working with my children as a Tutor in DC. She loves them as if they are her own. She picked-up the children from school and then helped them with homework and projects. If needed, she even took them places like their doctor’s office, the store for shopping, and to places for fun. I would highly recommend her for any job. She is a very nice young woman, and genuinely loves the children."